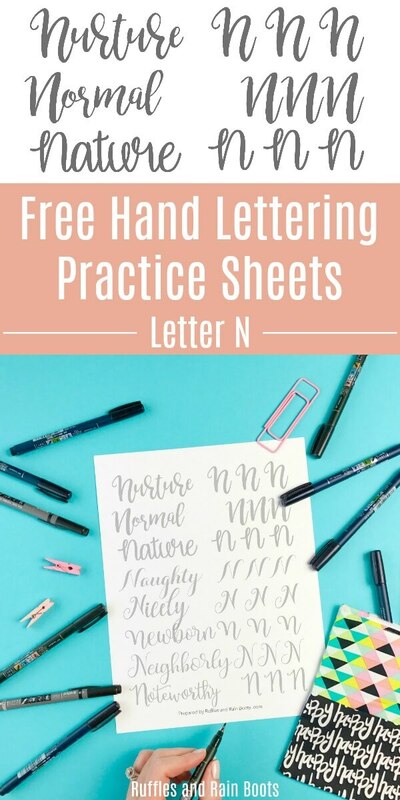 This printable set of free letter N hand lettering practice sheets will have you making consistent loops in bounce, brush, and modern calligraphy styles. 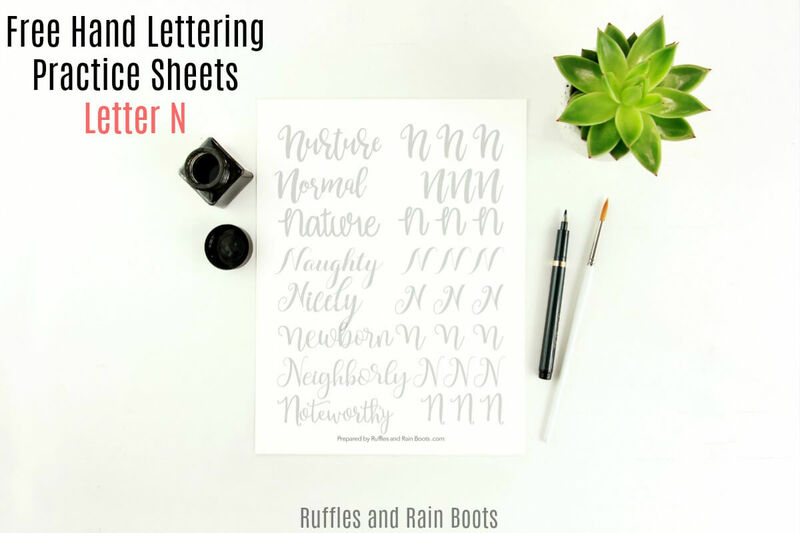 Here at Ruffles and Rain Boots, I love sharing my hand lettering practice sheets. From fun and kitschy to elegant and full of flourishes, this hobby has me hooked. I’ve been lettering for a few years now and have lately been experimenting with textures. From rocks and canvas to wood and clay, I constantly challenge myself with hand lettering. 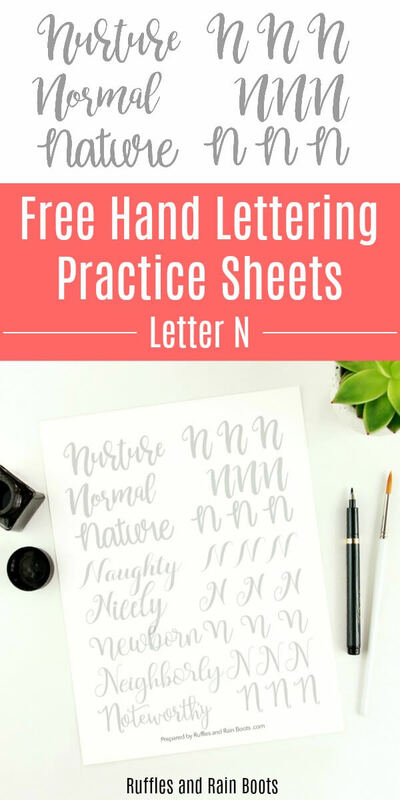 If you have a couple of “problem letters,” print off a few of the free hand lettering practice sheets from our lettering library. My personal nemesis is the letter k.
I get it – you’re scrolling and come across a gem like this but can’t print it off now. 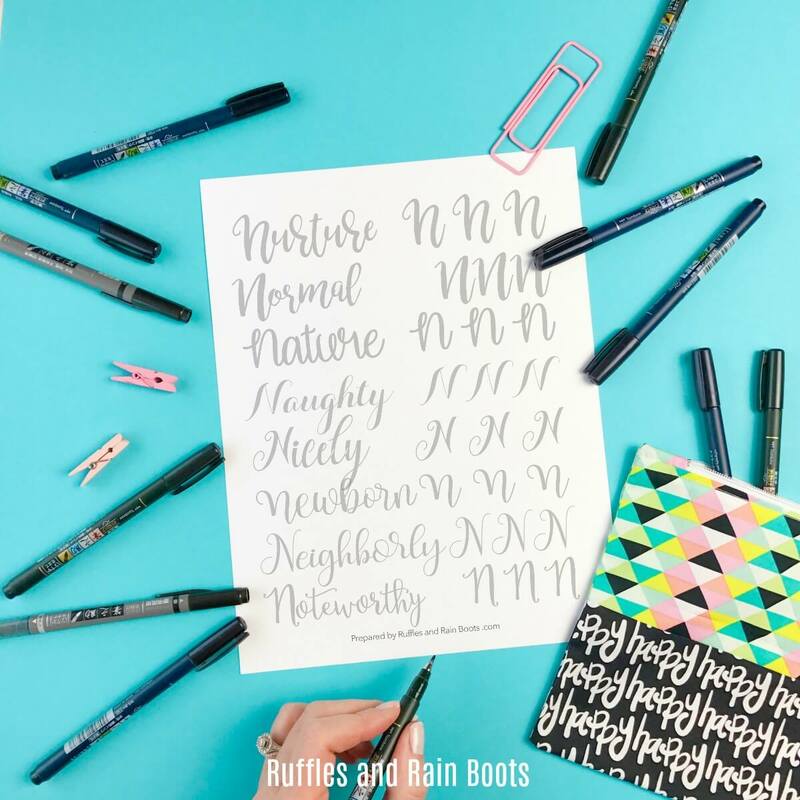 Pin it to your favorite hand lettering board on Pinterest and come back. Hopefully, you have a set of these dual tip brush pens. Have you tried the colored Fude pens from Tombow? They are nothing short of amazing. If you are subscribed to our newsletter, you already have the password (it’s at the bottom of every email I send). Grab that password and get the Letter N Workbook here.